Honda’s VFR800, first seen in 1998, was born from the hugely successful 750cc version. 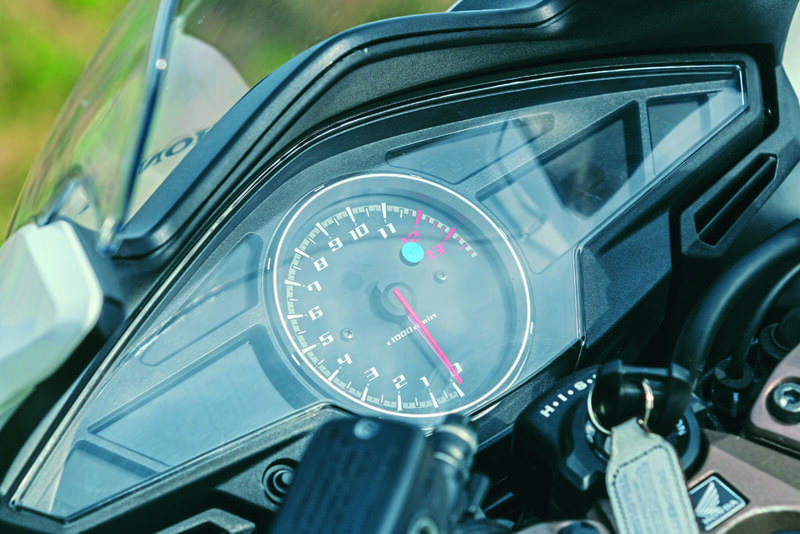 By that time, the VFR had rightly earned a brilliant and very well-established reputation for reliability and versatility during its 13-year life. Though the 750 had become an iconic sports tourer, Honda gave the 800 model a slightly more sporty bias. Its 781cc fuel-injected engine was based on the V4 which powered its WSB-winning RC45 superbike. And with 107bhp, a dry weight of 208kg, and shorter, steeper chassis geometry, the 800 out-powered and out-handled the 750. It also featured CBS linked brakes. Minor fuelling and electrics updates were introduced in 2000, along with a HISS ignition immobiliser. Two-years later and the bike was completely revamped and restyled. It featured the infamous VTEC variable valve technology which unhappily helped reduce the bike’s popularity. Chain-driven cams were a first, as was the optional ABS. A stiffer chassis and firmer suspension underlined a more sporting design. It’s easily identified by its twin underseat silencers. By 2005, ABS became standard, and the following year the actuation of the VTEC was improved. That same year the VFR also got new clocks and steering geometry. It produced 107bhp and weighed 218 kilos dry. 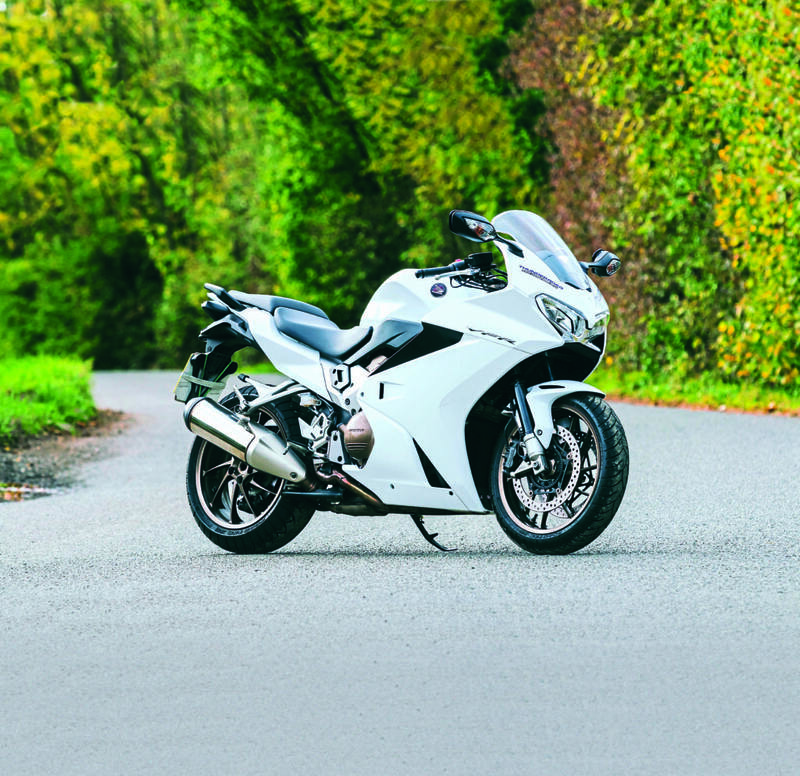 The latest version of the VFR800 we’ve tested here was introduced in 2014. Significantly restyled, it features a more conventionally mounted single silencer, new bodywork, instruments and suspension. The action of the VTEC system has been made more progressive, with new cam profiles boosting midrange power. 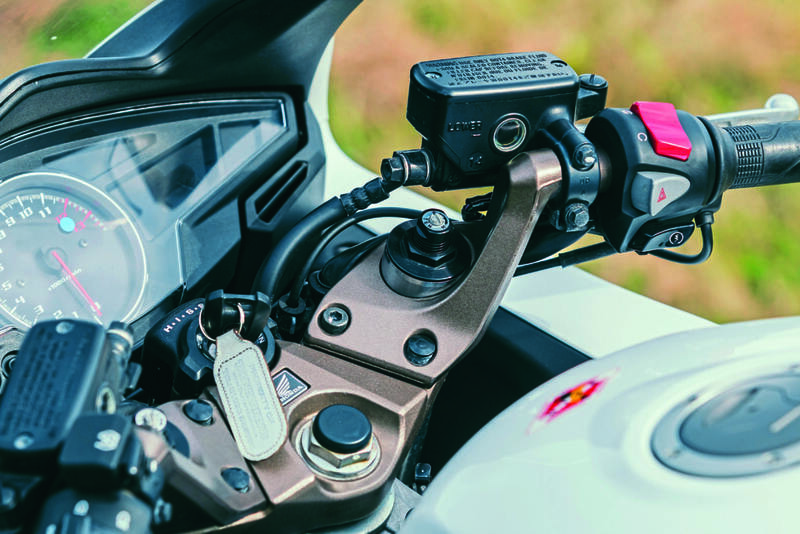 The VFR now has traction control, radial brakes, an adjustable seat and heated grips. The linked C-ABS braking system was dropped. The Honda is claimed to produce 105bhp, and have a dry weight of just 210kg. It’s an icon of modern motorcycling, even if it’s arguably lost its way a little in its later life. Hailed for many a year as the ultimate sports-tourer, the Honda VFR set the standard by which all others in the class were judged. This version, first seen in 2014, can’t claim such a title, but still has many top qualities. It’s certainly worth a look as a used buy, offering good value, plenty of user-friendliness, and above all total dependability. It’s very much a Honda in that its looks, sound and performance are all very socially acceptable. In fact, it’s a brilliant ambassador for motorcycling. Just getting aboard the VFR800 gives you positive and accommodating messages. Its riding position is certainly slightly more sport than tour, with bars set a little lower and further forward than you might expect, and footrests sited marginally distant from what you might perceive as a perfect location for total comfort, though the adjustable seat can help you tune your knee bend. Get going though and the stance is soon deemed more than acceptable for a longer run without risk of any limb cramping. Only the very sensitive or oddly-proportioned are likely to consider the 800 a poor fit. The thoughtful, ergonomic design is underlined by a set of instruments offering clear, easy to read comprehensive information, and mirrors providing a fuller and safer view of life behind. 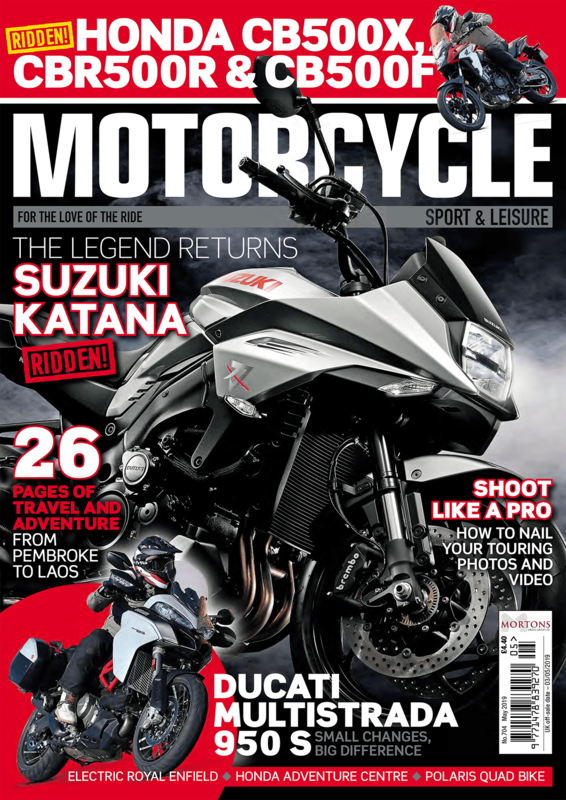 Heated grips, a centrestand and bungee loops under the pillion seat serve as further evidence. There’s a classy feel to the Honda, creating a good and warm first impression. Fire up the V4 motor and the sound, oh the sound, is just sheer music to the ears. Its pleasing purrs turn more to growls with greater revs, but throughout the range there’s a level of aural sophistication matched by few others. I’d wager almost no-one would be offended by the gorgeous tones it plays through its end can. The sound from the engine itself is equally pleasant with the quiet hum created by its obviously finely engineered and perfectly meshed components providing a certain reassurance. It gives the impression it’ll last forever, with the Honda’s solid and well-proven reputation suggesting that’s pretty much the case. Snick into first, let out the light clutch and that impression is seamlessly renewed. From the off there’s a fully sorted and balanced feel to the bike. 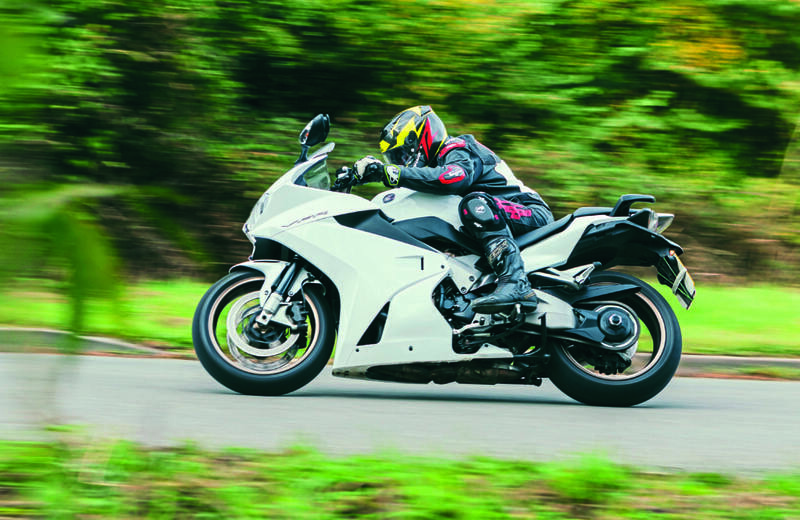 Engineers have clearly worked long and hard to create the impressive ease with which the VFR goes about its business so deftly and effortlessly. It’s an opinion you form within just yards, with further progress yielding even more compliments.